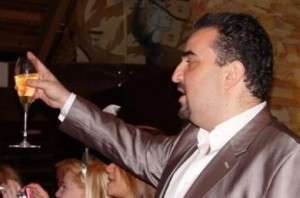 A forfeiture order as to property owned by former Full Tilt Poker CEO Ray Bitar was filed in federal court yesterday, signaling the beginning of the end of Bitar’s once lavish lifestyle. Ray Bitar, in happier times. The king of lobster and champagne stands to lose nearly every asset he owns. As part of Bitar’s plea deal with the government, he agreed to a $40 million money judgment. He also agreed to forfeit funds held in 18 bank accounts in Guernsey, Ireland, Malta, Germany and the U.S., seven pieces of real property and nine equity investments, in addition to his ownership interest in 24 FTP-related entities. The real property includes Bitar’s primary home, a $3 million mansion in Glendora, California; several modest single-family homes Glendora and Terre Haute, Indiana; a warehouse in San Dimas, California worth roughly $1 million; and a 5-week-a-year timeshare in an exclusive golf community in Bermuda that retails for up to $400,000. Bitar is also forfeiting a litany of diverse equity investments. He has ownership interests in a Southern California real estate developer, a garden care and maintenance company and a company that designs custom residential landscapes. He has also invested in a brewpub and a company that sells systems for satellite-based in-flight broadband connectivity. Bitar’s two most interesting investments both have connections to poker, albeit in different ways. He set up his own Hollywood production company along with former FTP owner Chris Ferguson and a Hollywood producer, Robin Shorr, who produced the 2008 documentary Food, Inc. Their company, RCR Pictures LLC, bought the U.S. rights to a Venezuelan film in 2011 and is set to release its first production, “The Pretty One”, starring Ron Livingston, later this year. Bitar was also personally invested in PASG LLC, the company that produces the popular Hold’em Manager and Omaha Manager online poker HUDs. All of those properties and investments will soon belong to the government, along with Bitar’s ownership interests in 24 FTP-related companies. Former FTP owner Howard Lederer hinted at the unusual corporate structure of Full Tilt in a landmark interview with PokerNews last year when he described a potential takeover of the Full Tilt board by a group led by Phil Gordon. During the takeover, Lederer consulted Full Tilt’s lawyers, presumably including internal counsel Ian Imrich (who set up some of Bitar’s outside investments) about what the takeover might mean for the company. “[They] listed all these companies that Ray was the sole beneficial owner of on behalf of either Pocket Kings or Tiltware and that there would have to be a smooth transition of all these ownership interests,” Lederer told PokerNews. Imrich presumably is now drafting those transfer documents on behalf of the government. For Bitar, life goes on with a dark cloud over his head. He is a Class IV heart failure patient who hopes to receive a heart transplant. Assuming Bitar receives a new heart and recovers from the transplant surgery without incident, he will still face a $40 million money judgment for his role in bank fraud and wire fraud conspiracies at Full Tilt. That judgment is separate from the real property and investment forfeitures detailed above, which were forfeited to the government in connection with the UIGEA violations to which Bitar pleaded guilty. Even if Bitar does receive a new heart that his body does not reject, his days of swilling Dom Perignon are over.